Hans was born December 10, 1927 to Johann & Maria (Ostrizek) Gleichweith, in beautiful Vienna, Austria. The family lived in a 3-room walk-up apartment in a marvelous old building, even by Viennese standards. Hans attended school in Vienna and like all boys loved playing soccer with his friends. During the war years they endured the bombing of Vienna, although Hans never really spoke of those days -- “what for?” His father, Johann, was lost at the very end of the war. Hans graduated from the University of Vienna with a degree in Architecture and launched a successful career. While living in Wiesbaden, Germany he met the beautiful Charlotte Franke at a community dance in the park, and they married in December 1955. Hans and Charlotte had their first child together – Susanne – and then in 1958 decided to immigrate to the USA, passing through Ellis Island before settling in Somerset, New Jersey. Hans & Charlotte had their second child - Andrea – born in June 1963. While the family lived in New Jersey, Hans worked in New York City commuting home on weekends. Hans was commissioned to design the Kodak Pavilion for the New York World’s Fair. In preparation for that assignment he travelled to Seattle to visit the World’s Fair on the Seattle Center grounds. Immediately he loved Seattle. The Evergreen State is very much like Austria, and more importantly …it’s not New Jersey. The family moved to Greater Seattle in 1968 settling in the Fairwood development in Renton. Hans & Charlotte divorced in 1970. Hans remarried some years later to Antonia (Toni) Vaskos, a second marriage for both, and they resided in the Magnolia neighborhood of Seattle. With Toni’s influence, they were deeply involved with The Greek Orthodox Church of the Assumption, becoming immersed in the Greek community of Seattle. Sadly, after less than 10-years of marriage Toni passed away. Hans remained a bachelor for the remainder of his life. Hans cut a dashing figure. He was charming and worldly, sporting around town in a flashy black sports car. Verna Allen entered his life, and by extension the lives of his daughters, son-in-law and grandchildren. Verna & Hans remained the closest of friends long after their romance ended and Verna stayed a big part of the extended Gleichweith-Daley families. Due to the prolonged effects of Multiple Sclerosis, Hans retired in 1993. 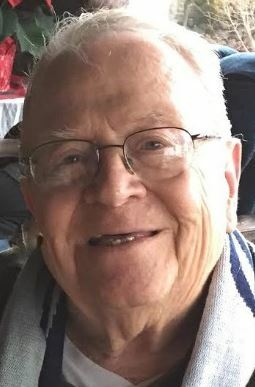 He remained in his home in Magnolia until age and illness caused him to move to Assisted Living and later to Adult Family care and finally Skilled Nursing care. He died April 24, 2016 from complications caused by age-onset dementia. Hans was laid to rest alongside his beloved Toni in Evergreen-Washelli Memorial cemetery on April 29, 2016. Hans is survived by his daughters Andrea Gleichweith and Susanne (Steve) Daley, along with three grandchildren; Kyle, Sean and Drew Daley. Hans will be missed by our Viennese family/friends; Franz, Ilse, Gerald & Sabine Wodni and Edith Papsch. It is with fond memories and sadness we read of your dad/granddads passing. Hans was a loving, gracious and kind man. We enjoyed so many meals and moments of laughter sharing our ethnicities. In our Greek Orthodox tradition we say, "May his memory be eternal!"